Paint and Sip Night In! How to have a Paint and Sip night in! Paint and sip studios are taking Northern Colorado by storm, and for good reason! Painting is therapeutic and I honestly think that anything that gives you an outlet for creativity is good for your soul and mental state, regardless of the outcome. While I'm a huge fan of this emerging industry, my particular stage of mom life involves more frequent 4 am wake up calls than ladies' nights out. So I decided to have my own Paint and Sip night in! 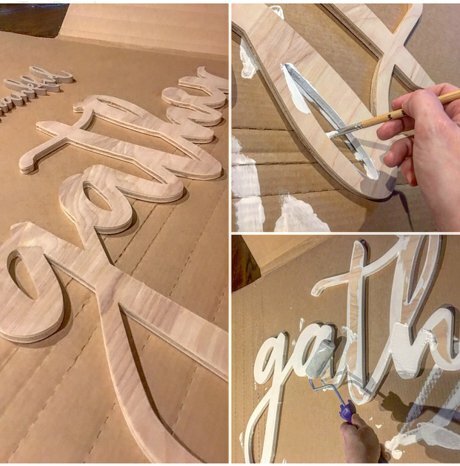 These DIY word signs by Jen & Hailey can be made to say anything you want and come in a lovely raw birch wood that smells amazing (is that weird to say? ), with such an elegant grain that I almost didn't want to cover it with paint. I had ordered these back at Thanksgiving so I selected the words "Gather" and "Thankful" because they seemed festive at the time and I had planned to use them as decor for the holidays. Let's not talk about the fact that I'm getting my November projects done at the end of January, and just focus on how beautiful these signs are shall we? One of the best things about these signs is that you can't really mess them up. Many times I have embarked on a creative project only to feel frustrated over the wasted time and effort when the end results weren't what I'd wanted. Not this time- these signs are fool proof. I used paint brushes because I wanted to enjoy a quiet evening recreating the paint and sip experience at home and use paint I already had on hand, but you could absolutely hit these with a can of spray paint if you want to get the job done in less time. Paint around the edges first, taking your time and getting into all the little nooks and crannies. Depending on the word and font you pick when you select your sign, there may be more or fewer tight spaces to get into, but I'd suggest a pretty small brush. Use a small roller on the face of the sign immediately without waiting for the edges to dry. I do this right away because you could potentially end up with a bit of a raised online around your letters if you let your edges dry. That wouldn't necessarily be bad, but I wanted mine to have a smooth surface. Move the signs a few times while you wait for them to dry so they don't bond to the cardboard or drop cloth underneath them, risking damaging the signs when you pull them up. Optional- going over them with very fine sandpaper or a sanding sponge is a great way to even out any bubbles or get a little bit of a distressed look around the edges. Whether you'll need a second coat will depend on your paint and preference. The white paint I used on the gather sign had a built-in primer and didn't need more than one coat. The gold craft paint was pretty thin and needed three. And the last step: Decorate your home! 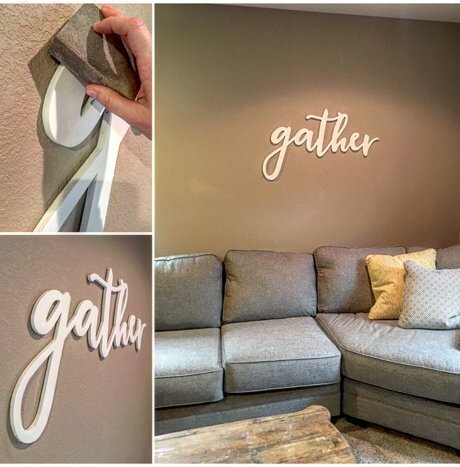 I am using the smaller "Thankful" sign as a wreath ornament on the front door, while I hung the large "Gather" sign over the couch in the basement. I have also used these signs to decorate my daughter's nursery, my son's room and as decor at his birthday party. These signs are so versatile and easy to hang that there are endless possibilities. I hope you'll support this amazing small business and have your own Paint and Sip party or night in! 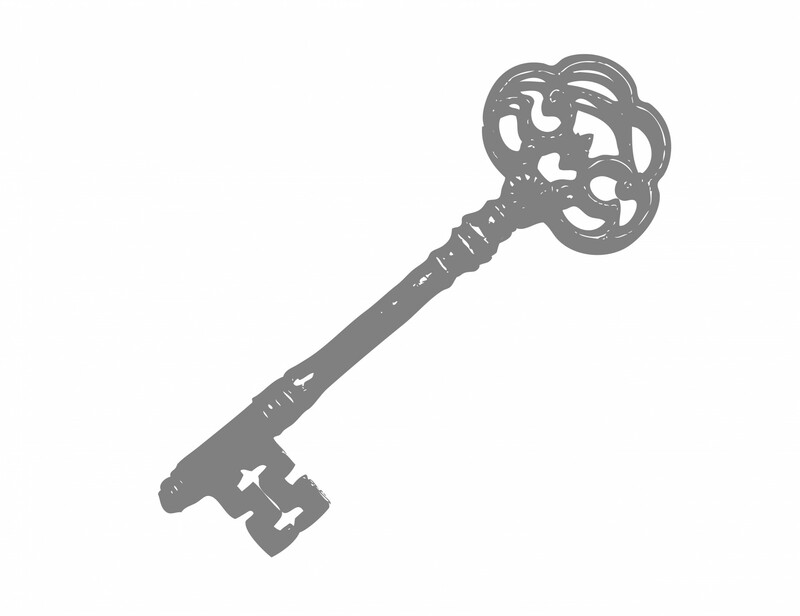 Click here to see Jen and Hailey's shop on Etsy. Real Estate + Lifestyle in Northern Colorado. I started this blog as a way to keep in touch with the Northern Colorado community. My posts include updates on events in Fort Collins, Loveland, Windsor, Greeley, and surrounding areas. 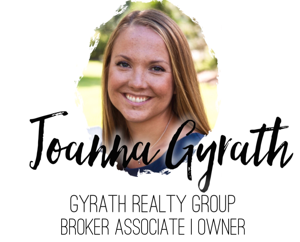 I'll also keep you up-to-date on real estate market trends and the small businesses and charitable organizations that make our community great. Please join me at CASA of Larimer County's Light of Hope Breakfast on March 27! Two great new listings hit the market over the weekend! Must Do This October: Harvest Farm Fall Festival + Ticket Giveaway!